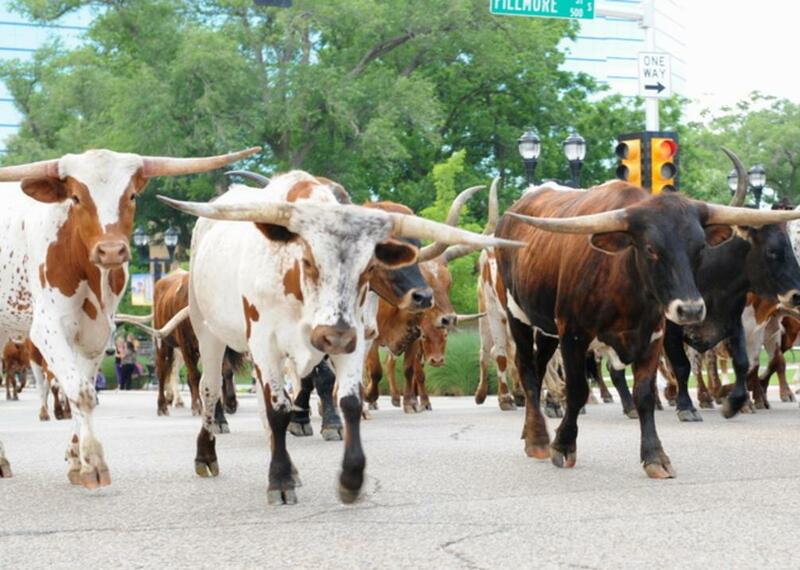 Location: Cattle drive starts at 11th & Polk in downtown Amarillo. 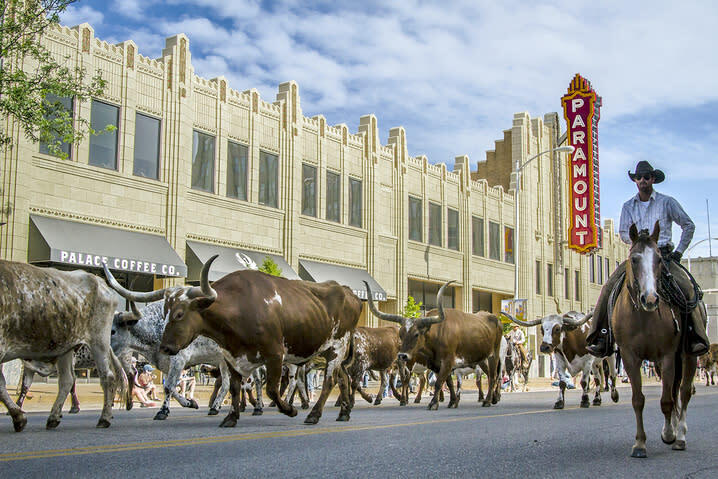 Sixty longhorns along with other non-motorized groups and riders will start from the corner of 11th & Polk St. at 6 p.m. in a procession that harks back to the emergence of Amarillo as a premier cattle shipping market in the late 1800s and early 1900s. 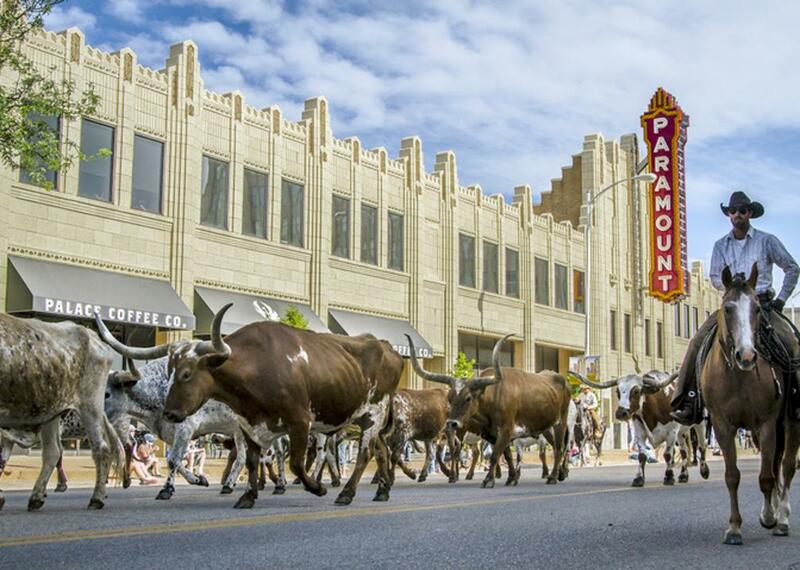 The cattle drive returns to its original route. It heads north on Polk and turns right on 3rd. It turns right again on to Taylor, past the old Potter County Courthouse. It will turn left on 6th and left again onto Buchanan. The drive follows Buchanan to 3rd and turns right on 3rd towards the Tri-State Fairgrounds. At the intersection with Marrs, the drive will turn right for a couple of blocks and then turn left on 10th to head into the fairgrounds under the lighted arch. The cattle will cover the route in about an hour. Spectators are encouraged to cheer on the cattle and riders from any point along the route. 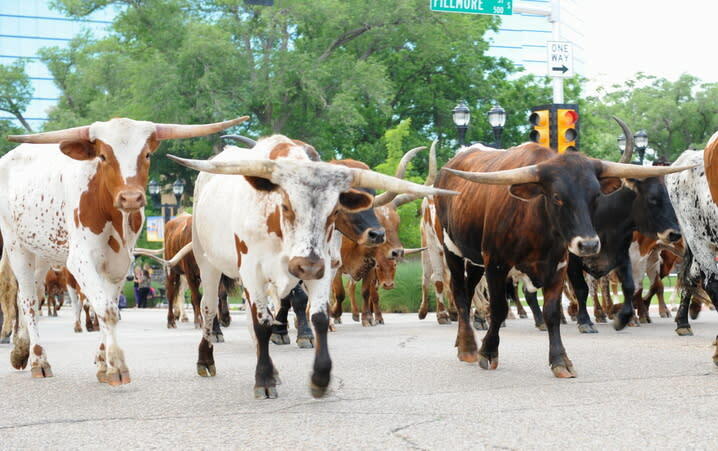 The Longhorns will remain on display at the fairgrounds during the Coors Cowboy Club Ranch Rodeo, which is June 7 & 8, 2019 in the Amarillo National Center. Don't forget to participate in the Coors Cowboy Club Cattle Drive Photo Contest for a chance to win $500!